Since I'm always looking for ways to up my brow game, I'm forever trying different products. 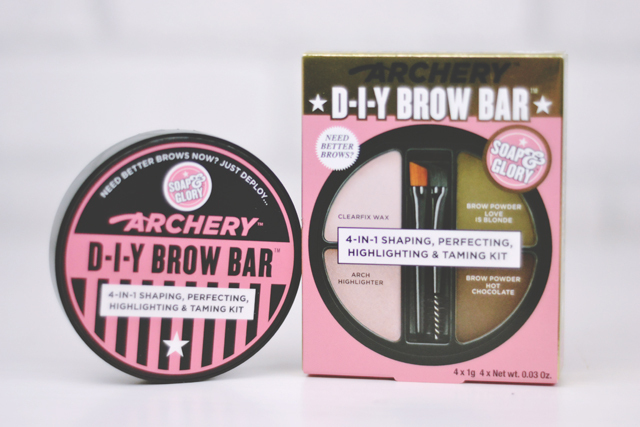 I picked up Soap & Glory Archery DIY Brow Bar in Boots on a whim since it was affordable and looked to have everything I needed in one, easy-to-carry compact. 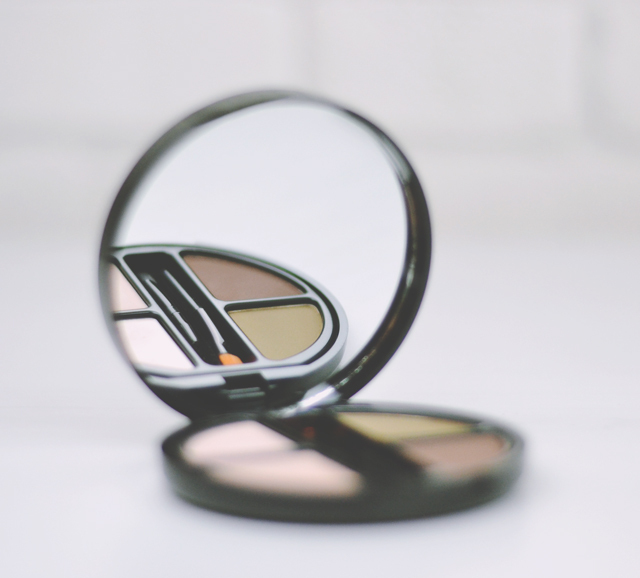 The Brow Bar contains four different products inside a round compact with a lid that clicks shut and contains a mirror on the inside. It's perhaps a little deeper than it needs to be, considering how much product you get, but it's still fairly small to fit inside a handbag. Inside, there is a clear brow wax, a pearlescent highlighter and two brow powders- one in Love is Blonde and one in Hot Chocolate. There are also two brushes included; one for applying the powders and a second, double-ended brush comprising of a spoolie and an angled brush for the wax. Let's start with the obvious- the brushes are not great. It's a better idea to use separate brushes but, of course, this renders the whole portability of the compact pretty much useless. The handles are too short, meaning it's difficult to get a grip on them, and the wax brush has a tendency to shed black fibres into the wax. As it's quite a firm brush, it also leaves what I can only describe as rake marks in the wax. This isn't a huge issue, I admit, but it doesn't look very nice! I also found the wax quite heavy and, although the highlighter does give a nice pearlescent glow, it feels sticky on the skin. The two powder shades, designed as a mix-and-match to help you get your perfect match, are largely pointless. As I have dark eyebrows, I don't need the lighter shade at all, although I tried mixing the two together just to see what it's like and it's certainly not easy! I'd imagine anybody with darker brows than mine would find even the darker of the two shades two light. In my opinion, it would have been better to just have three products- the wax, highlighter, and one powder- but provided in different shade options. Despite the difficulty in application, my brows did look nice after use. They were well-defined and neatly groomed. However, the effect isn't any different to the one I can create using less frustrating products such as my beloved Anastasia Beverly Hills Brow Wiz Pencil. Although Soap & Glory Archery DIY Brow Bar is a good budget option, I just haven't found it to be any better than any other brow product on the market. It's useful as a back up but I wouldn't recommend it. I had previously considered buying this as it seems like quite a cheap but useful product, however I can see that both shades possibly wouldn't look right on me, I'll stick to products with different shades I think! 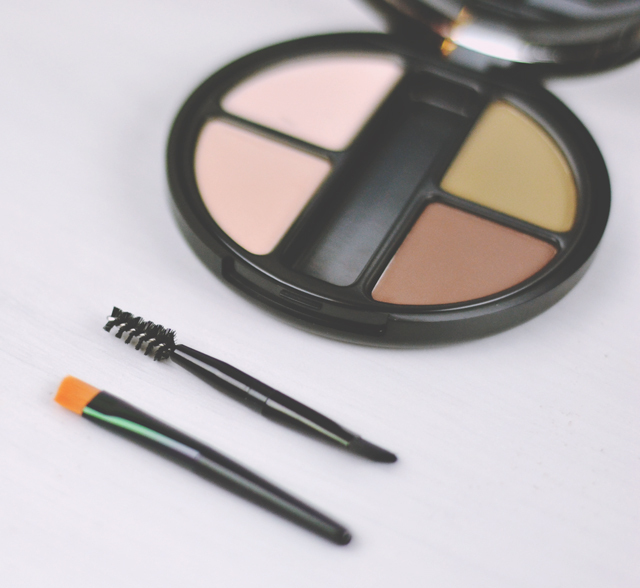 For a eyebrow loser like me, i could do with one of these little kits to try out! I STILL haven't tried the ABH Brow Wiz, really need to!